Another year is coming to end, and a new year is on the verge of beginning and the holiday season approaches. We'd like to take this opportunity to thank you for your continued partnership. It is business associates like you who make our jobs a pleasure and keep our company successful. May your holiday season and the New Year be filled with much joy, happiness and success. We look forward to working with you in the coming year and hope our business relationship continues for many years to come. 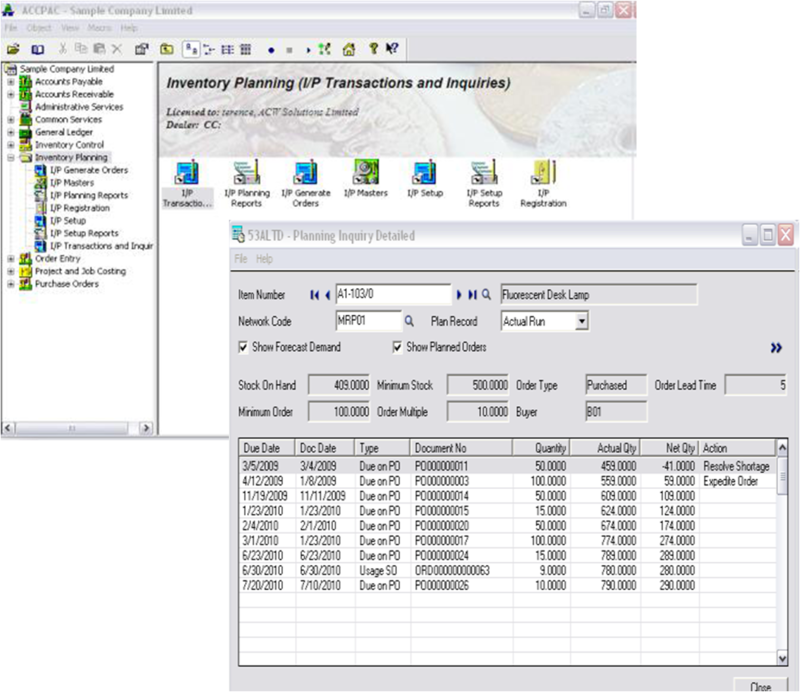 Sage Accpac Solution: Inventory Planning for Sales Distribution. I/P makes full use of the sales information in Accpac O/E, sales forecast information in I/P, stock data within Accpac I/C, purchase information in Accpac P/O in generating a realistic purchase plan. I/P is fully integrated with Sage Accpac’s Financial and Logistics modules. 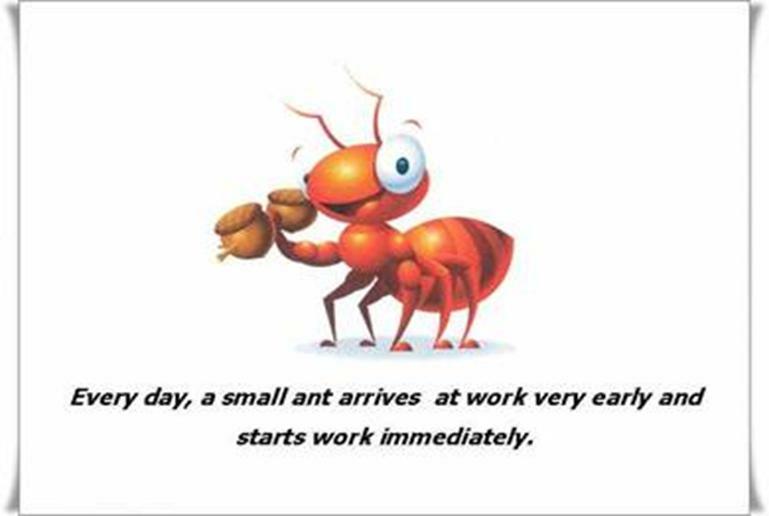 By planning ahead, I/P minimizes inventory stock, prevents item shortages leading to improvement in customer service levels. With I/P , inventory planners actually spend more time planning instead of just tracking, compiling and calculating stock requirements. • Actual Accpac O/E sales orders can consume user-defined salesforec as tsthus preventing excessive estimation of item demand. AutoSimply Inventory Planning is an add-on module that facilitattes sales forecast & planning. 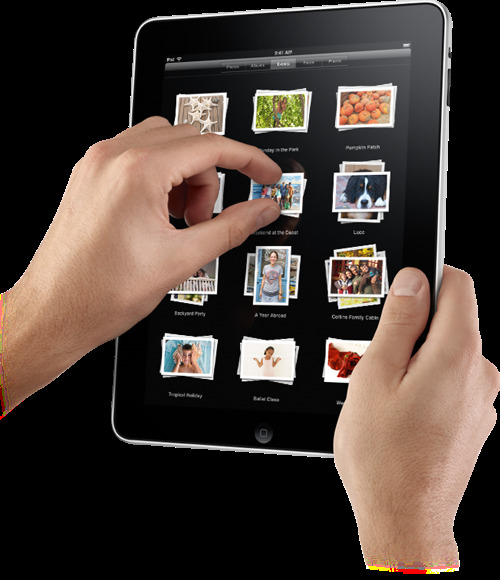 Since launching the Apple iPAD it has taken the market by storm. It may revolutionize how people work in the future. Apple is obliterating the distinctions between consumer and professional devices and for more and more professionals work & play goes hand in hand. Sage Accpac ERP Solutions are among the forefront of progress, and has always kept abreast of technology changes and advancement. 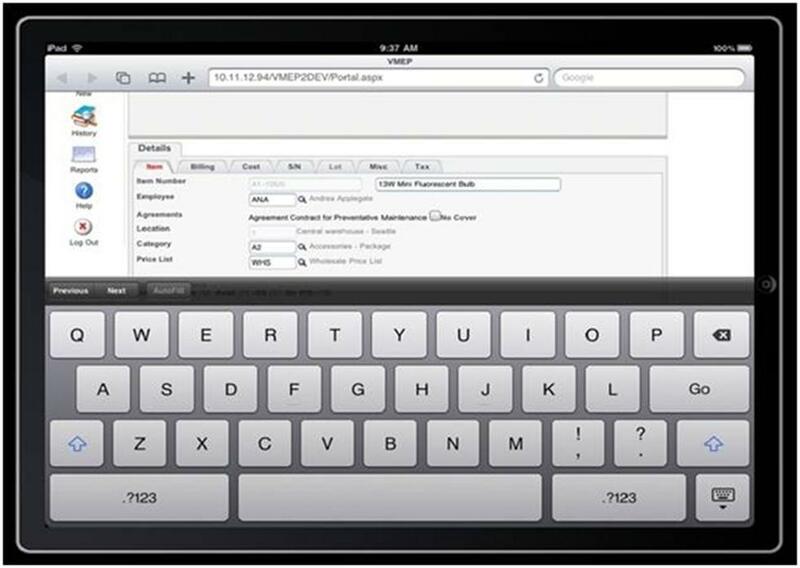 The latest Service Manager 5.6 an endorsed solution by Sage from Technisoft is really to work with iPAD. 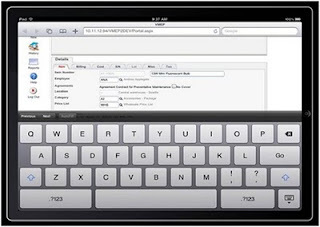 Technisoft is excited and proud to announce the release of the latest version of the Employee Portal which now supports Apple iPad. We are presently in development with iPhone and Android Phones and hope to have some exciting news in that regard early in 2011. Remember Apple touch screens are designed primarily for finger use only but there are now styluses available for the iPad as well. Those on Software Assurance can download the latest version of the Employee Portal to try this out. Licensing is as per the Employee Portal which is Named User based using Sage Accpac IAP’s. 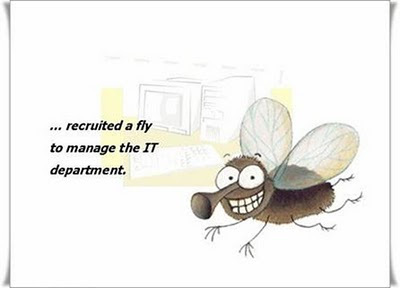 If you are already using the Employee Portal you will have no additional requirements. Please stay tuned for some further exciting releases prior to year end. Please check out brilliant first views. 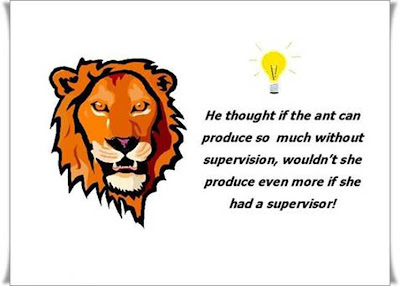 During my early as a young man selling engineering product the maxim of John Ruskin has been drummed into our mind by the Senior Sales Engineer. 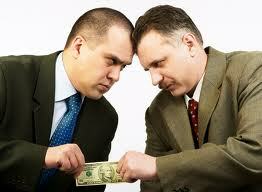 “It is unwise to pay too much, but it's worse to pay too little. When you pay too much you lose a little money - that is all. was incapable of doing the thing it was bought to do. and if you do that you will have enough to pay for something better"
the track record of the supplier - which includes their reliability. 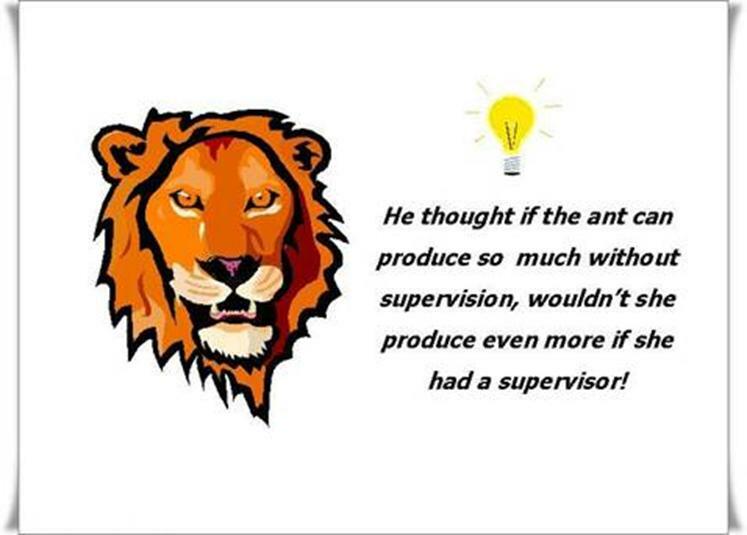 the experience of the supplier in this area of requirements and their quality regime. the facilities available in the product(s) or service(s) offered. 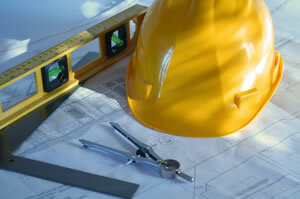 their product support, training and maintenance services. It is easy to mistake price and cost. The price is what you pay for an item. Cost has many dimensions and many of them are intangible, ongoing costs which can potentially cripple a business. Which brings me to the most important point. Do not buy for fashion, or appearance, or whim - buy because it brings to your business clearly identifiable and quantifiable benefits. You should write down what you intend to achieve, because at the end of the process you should be able to check that you have indeed achieved the benefits you expected. The cost of any product or service must be proportionate to the business benefit to be derived. If the benefit is high, then some risk is likely to be involved too. There are very few cheap, quick and effective fixes. 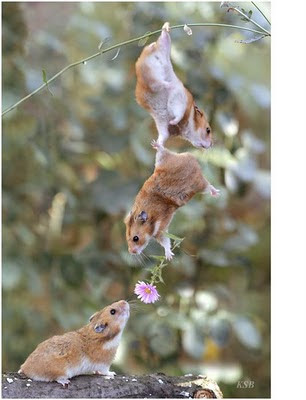 You rarely get great benefit for no effort. “There is hardly anything in the world that someone can’t make a little worse and sell a little cheaper – and people who consider price alone are this man’s lawful prey”. Project management is a client-focused process that significantly increases the probability of providing the desired results to the client. It can help an accounting firm plan its resources more effectively and ensure that work is delivered to clients in a timely manner. 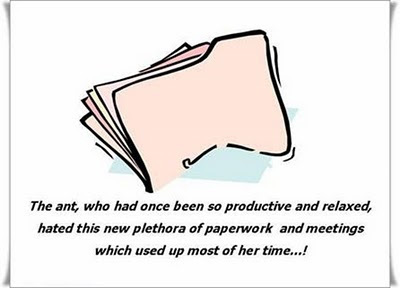 The project management methodology enables an accounting firm to manage its engagements prospectively, not retrospectively, such as through time sheets. When properly implemented, project management can provide your firm with a competitive differentiation by defining the success of your firm the same way your clients do—through results. This article explains the important tools and objectives underlying project management. 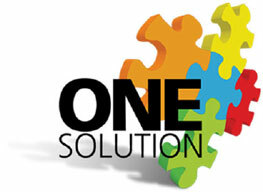 CAREWARE launched the One (1) Solution Concept. The challenge involved in establishing a computer Client Server Network System and Web Deployment from initial planning to the final up and running system is opened to a selected few and as you know from your experience, the reward is euphoric. It has now become obvious that designing an Enterprise Wide system involves half a dozen different firms, each supplying any of the items or services described above. Every one of the components is essential for the support of your computer system. 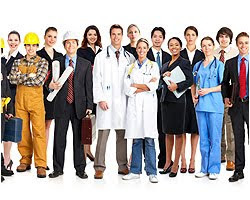 Recognizing these enormous disadvantages of dealing with several different firms and point of responsibilities which could prove detrimental to the Enterprise System, Careware put together a team of experts, a group of TOTALLY dedicated, specialized and trained personnel to offer the CAREWARE ONE (1) SOLUTION and TOTAL SUPPORT for our customers.. The Careware approach is unique, a single source for a ONE (1) Solution, from design, preparation, management, control and planned maintenance of both Hardware and ERP Software. CAREWARE specialized IT systems engineers helps you design, install and maintain your IT infrastructure while enabling you to resolve your day-to-day business challenges. Each of our network consultants are technically experienced and certified, providing you with the benefits of new and emerging technologies together with consulting services. Together with our Sage Accpac ERP and Sage CRM solutions, we offers a complete IT infrastructure on which your ERP and CRM software can operate with optimum performance and data integrity in a secure, effective business environment. - Support IBM, HP, Cisco & D-Link routers, etc. We will provide your company with the absolute highest level of technology support so you have only ONE (1) company to count on for all of your technology needs. Recently I was involve in assembling a team from my company for a regional project and the thought came to me about the recent debacle of the France soccer team in the World Cup 2010. France exit in disgrace. What went wrong? They have some of the best professional players. It was apparent that they fail as a team. Philippe Tétart, a French sports historian, said that France’s players had acted like spoiled celebrities instead of potential champions, creating damage beyond the team’s image. Acting like prima donna, they revolted against the management, the coach and influence the younger players to boycott training. Even the France sport’s minister couldn’t persuade them. The only way France can repair its image and regain her pride is to “cut off,” these prima donnas and rebuild a young team from ground up. "it's the best five players that win the game, not the five best players." Do you know the differences? Which lead me to ponder on the devotional that I read some time ago. 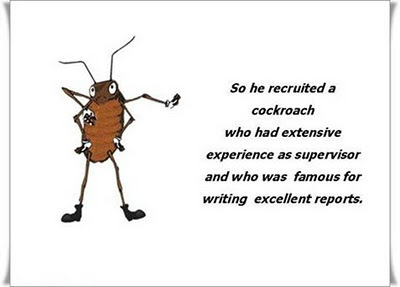 Brooks knew that individual talents would take the team only so far. A willingness to fit into his style of selfless play would be far more important than talent. Clearly, team success, not individual glory, was the priority. Sage reseller in Malaysia prepares for 20th implementation of Sage Accpac ERP’s project and job costing solution for global engineering firm KTA Tenaga. 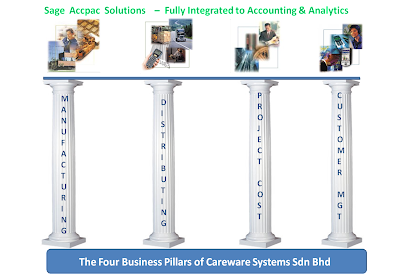 CareWare Systems Sdn Bhd (http://www.careware.com.my/), a Sage business software reseller based in Malaysia, is preparing to implement its 20th Sage Accpac ERP project and job costing solution for KTA Tenaga, a global engineering firm with offices in Malaysia and Abu Dhabi. 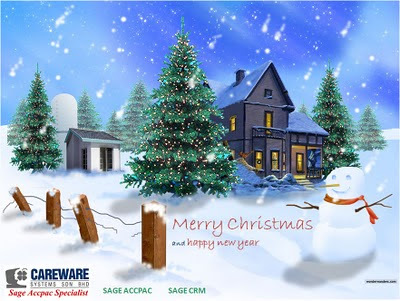 The latest sale of Sage Accpac makes CareWare one of the largest resellers of project and job costing solutions in all of Asia. The number of Malaysian firms competing for construction and engineering projects across Asia has increased in recent years. According to Robert Tan, managing partner of CareWare Systems, one of the best ways Malaysian companies can gain a true competitive edge is by implementing world-class ERP software (enterprise resource planning) with integrated project and job costing functionality. “An uncertain economy and greater global competition has many engineering and construction firms looking for the most accurate and timely business information possible,” says Tan. “An ERP package with a fully integrated project and job costing module provides the insight many firms need to control costs, manage subcontractors and create competitive bid proposals for future work,” says Tan. Through its partnership with Sage, CareWare Systems helps small and mid-size companies in Malaysia reach productivity levels at the top of their respective industries. CareWare represents a variety of business management software including Sage Accpac ERP, SageCRM, and MISys Manufacturing Software. For companies interested in growth, profitability and superior software support, CareWare is the Sage business partner for you. For more information, please visit our website: http://www.careware.com.my/. I had wanted just to post the link to this article but then I decided to put it full on my blog just in case post was archive and remove. It is worth keeping it permanently. 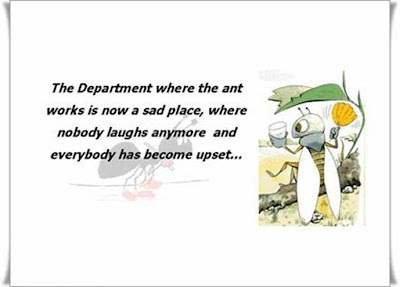 Please read it for all its worth…. God Bless! The meaning of Father’s Day has changed for me over the years. My father has been gone a couple of years now, and my kids are almost out of the house. I’ve been a father for 28 years, an entrepreneur for 32. As with any demanding job, balancing the responsibilities of parenthood with the responsibilities of the business has been a challenge. My perspective has changed, and I write today’s post for the benefit (I hope) of younger parents, fathers and mothers, who are dealing with this struggle. People used to tell me, “There is no old man lying in his death bed wishing he would have spent more time at work.” When I used to hear that, I understood and felt confident that I wasn’t one of those guys who were out of whack. I didn’t travel too much, I was usually home before the kids went to bed, and we took some vacations. The words I would use to describe my 32 years in business include drive, excitement, disappointment, resolve, adventure, fear, satisfaction and progress. I have a new word to add to my list: regret. I avoid using it in business because I have learned that while torturing yourself can be useful in learning a lesson, it can also be a waste of time and bad for the psyche. I have made hundreds of mistakes over the years and would like to think I have learned from them. I have learned not to look down and not to look back. That is why I love business. You usually have an opportunity to improve things and make them better, using your new-found wisdom from your latest mistake. The end of each year is an opportunity to start with a clean slate. But your kids’ childhoods don’t work like that. Whether it is that gut-wrenching day when you drop them off at college, if you should be so lucky, or the day they move out, there is an end to their childhoods. There is no going back. And there is plenty of opportunity for regret. 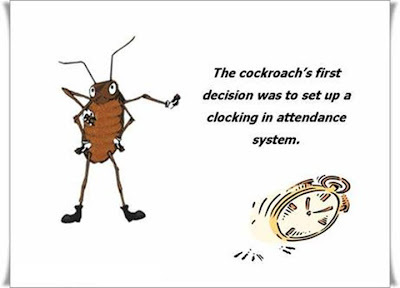 While you are at battle every day to build the business, or even just to stay in business, it is easy to justify skipping the vacation, coming home late, or working on the weekend. The harsh reality is that it is sometimes necessary. And sometimes it is not. That is where the regret comes in. I was home, but was I really there? Or was I thinking about the bank loan? Or the problem employee? Or the end of my lease? And then there is the pushing for fast growth. Instead of enjoying a few years of sanity when you finally get things under control, you seize the opportunity to expand and get in more trouble! 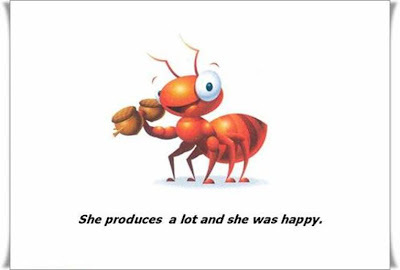 It is hard to control ambition, but like many things in life you can have too much of a good thing. I went to dinner years ago with a neighbor who had taken over his family’s business. He casually commented, “I’m sure you have your kids’ college educations taken care of.” I said no, not a dime. It was all in the business. I was not surprised that he had money put away. 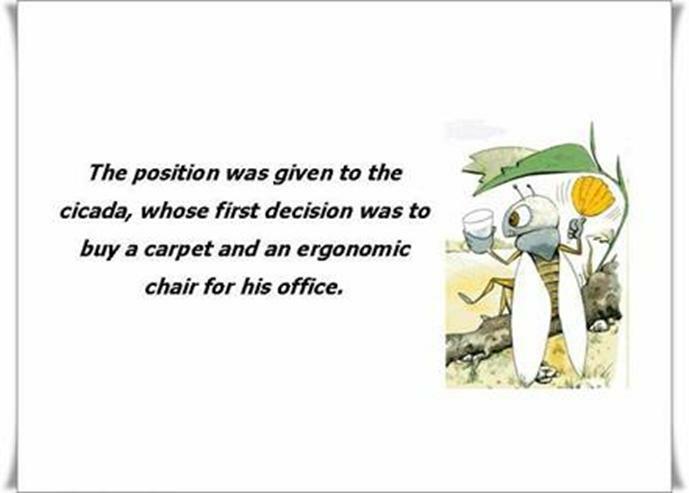 He was running a very successful business that, to his credit, had grown considerably after he took it over from his father. What surprised me was that it apparently had never occurred to him that not everyone in business was in the same financial position he was. He took more vacations than we did, played golf regularly and belonged to a country club. He didn’t work weekends. I don’t think he lost a lot of sleep over paying bills. It didn’t really bother me; I just knew that I was in a different situation. Which gets me to my Father’s Day (and belated Mother’s Day) wish for all of you who are raising a family while trying to raise a business. Add one more thing to your list of goals, along with more sales, increased profit, improved products or service, lower debt and whatever else. Call it an investment in your kids’ childhood equity: time spent going to the zoo, taking vacations, helping with homework, playing catch, baking cupcakes, doing whatever your kids want to do. And doing them even when you are tired, frustrated, distracted and broke. CareWare Systems Sdn Bhd to offer comprehensive software demonstration webpage showing Malaysian companies how SageCRM 7.0 will streamline business processes and improve productivity. Petaling Jaya, Malaysia (PRWEB) June 13, 2010 -- CareWare Systems Sdn Bhd is taking an active role in the June upgrade launch of SageCRM 7.0, which is customer relationship management software from Sage for small and mid-size companies. CareWare Systems, a Sage business partner in Malaysia for the last 20 years, has developed a comprehensive webpage it believes will demonstrate how SageCRM will help Malaysian companies of all sizes operate more efficiently and with greater visibility across the entire business. SageCRM features out-of-the-box integration with Sage Accpac, which means that a company running Accpac has to do no actual work beyond a simple set up of SageCRM to begin enjoying the benefits of integration. Tan says: “Much of the work a Malaysian company does in accounting ERP systems can be done in SageCRM. Businesses can utilize SageCRM’s easy-to-use online interface to create quotes, place orders, view and order inventory, send invoices, handle cash collections and much more. Plus, having it all online means employees can work from virtually anywhere while easily accomplishing key business tasks,” he adds. According to Tan, CareWare Systems prides itself on offering cutting edge technology to give companies in Malaysia an advantage over the competition. One way he plans to demonstrate the extent to which SageCRM will save Malaysian businesses time and money is to invite them to a webpage created especially for the CRM launch. “We want Malaysian business customers to get the complete SageCRM experience, which is why we have links to online software demonstrations,” Tan says. “To stay competitive in today’s market, businesses have to work smarter, anticipate customer needs better and eliminate process redundancy. SageCRM with integration to Sage Accpac does just that,” he adds. For more information on how SageCRM and CareWare Systems can turn your business into a productivity leader, visit :http://www.careware.com.my/index.php?mid=1740 to watch a CRM software demo today. SageCRM is part of the Sage Accpac Extended Enterprise Suites give you a 360 degree views of your business. Whether your business is in the Service, Financial or Insurance industry, CAREWARE has the solution for you with the award winning selection of Accpac ERP modules in conjunction with our Customer Relationship Management product – SAGE CRM. portfolio. This level of information at your fingertips will result in better service, up sell and cross sell opportunities as well as targeted marketing campaigns and activities through key attribute profiling. • Complete suite of modules that enables insurance companies to manage and integrate all customer communications embracing all channels of communication through one view. This increases productivity and efficiency throughout the sales force. • SAGE Accpac CRM embraces all sale channels including brokers, agents, call centres as well as direct employees. • Manage Claims with integration to external claims/billing systems. 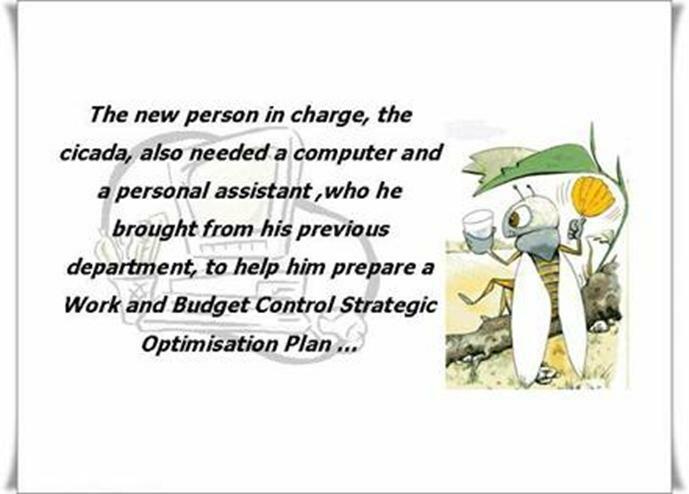 • Quote Management and Policy Management tracking with automated workflows. 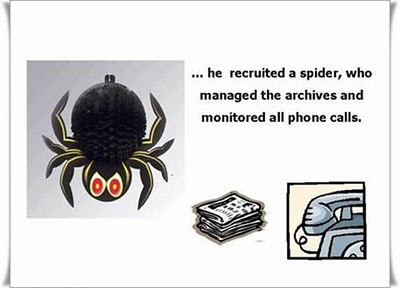 • Claims Management with integration to web self service. all documents such as insurance certificates, ID certificates etc. • Risk assessment is improved through managing and storing all information and having access to live data from all business unit Self service allows a web based integration platform to manage relationships with insurance brokers, agents as well as customers. 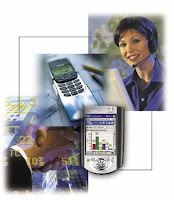 • Customer service costs should reduce as self service is introduced to reduce call burden. • By integrating with billing systems, this assists with automating the billing process and matching payments. Service Manager 5.6A Released Today! Service Manager 5.6A is a full major upgrade release with significant internal changes to accommodate the new features of Sage Accpac 5.6A. Service Manager 5.6A is fully compliant with all core Sage Accpac ERP 5.6A modules. • Fully accommodated the new Serialized Inventory and Lot Tracking features of IC 5.6A including the new SN and LT costing methods. • A new usage Agreement Type has been added allowing a ($) Dollar Financial performance usage tracking function including automatic re billing when a "Threshold" level as specified is reached. • New Budget Editor displays Budget consolidated by Phase. Compare Original Budget, Current Budget, Actual and Variance. Includes Mark-up on Cost by % options. • All views have been upgraded to the 5.6A Template so they adopt current Sage Accpac ERP performance and enhancements, improved memory management, and new single stream Data Activation methods. • Significant performance enhancements in the Multi Post and Posting Schedules programs. • Auto Create Equipment has been significantly enhanced to minimize user intervention. • Equipment may now be marked as Site or Internal. • Internal Equipment and Subcontractor resources may now be assigned and managed as Job resources. • Merged the Service Manager Day End Processing into the IC Day End Processing so the same Sequence is used. • Comments can now be entered for each Task Activity in Document Entry. • Added the ability to bulk update Job information after posting of Maintenance Worksheets. • Added the test results to Maintenance Loading to show the values tested and their results. • Meter readings are now present in the Maintenance Loading transactions. • Enhancements to Meter Warning settings and predicted Reading options. As many of you are aware a completely new Job Manager Scheduling and Planning tool is in development. What business challenges made it necessary for the project engineering vertical to adopt Sage Accpac ERP solution? Apart from needing a project job costing solution, there is also a requirement for robust accounting software tightly integrated with the project job costing module to ensure accurate financial visibility. What are the modules of Sage Accpac ERP used in this vertical? Purchase Order, Inventory Control, Project and Job Costing, General Ledger, Accounts Receivable, Accounts Payable and Optional Fields are the modules which the Sage Accpac ERP system for this vertical. How has the process improved and what are the benefits accrued with the implementation of Sage Accpac ERP? • Sage Accpac ERP with its project cost tracking capabilities ensures accurate tracking of various cost elements relating to people, material and travel. Since it automatically tracks the project cost throughout its life cycle, it allows the managers to keep track of project profitability at all times. • Tight integration of the Project and Job Costing system with finance and purchase functions benefit to evade duplication of entries and ensures accuracy of data. Also the automated billing features in the job cost accounting software streamlines customer invoicing this makes certain there are no leakages in the billing and it takes place on time. SAGE Accpac ERP provides a complete solution for sales, marketing, and customer service. The markets that SAGE Accpac serve include banking, institutional finance, wealth management, capital and brokerage. As commission revenues reduce, financial institutions are faced with huge demands to better manage customers’ portfolios to deliver a service that warrants solid return. Deliver proactive targeted marketing on wealth management and tailored plans and proactive. • Focus on improving customer care through workflowed and SLA managed tasks. 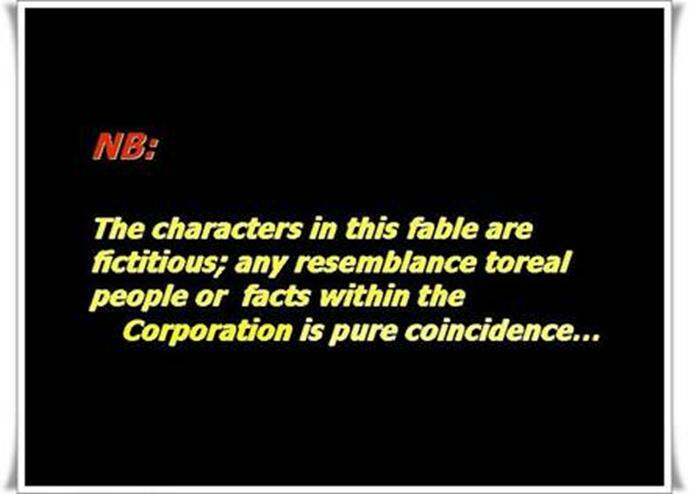 • Remove islands of information caused by disparate systems. • Deliver a holistic view to solve specific issues – company wide. • Integrate to Sage Accpac operational system of your customer. • Allow cross selling and up selling and better co-ordination of products and resources. • Deliver better service and improved productivity. • The integrated modules look to assist organisations to attain and retain customers as well as extend services into existing customer relationships for increased profitability and improved productivity. Naturally, by retaining all interactions, it is possible to analyse data for cross selling and up selling capabilities. Help your clients get a handle on their inventory as soon as it comes through the door! ACCU-DART will quickly and accurately update inventory levels directly into the accounting system, while verifying that the items being received are the ones ordered. When a delivery arrives, the warehouse staff scan the items and quantities as they are receiving them. ACCU-DART verifies in real-time that the correct items are being received, and warns the user if they attempt to over-receive. Once all items have been scanned, the user simply presses “Post” and the inventory is automatically updated into the accounting system. 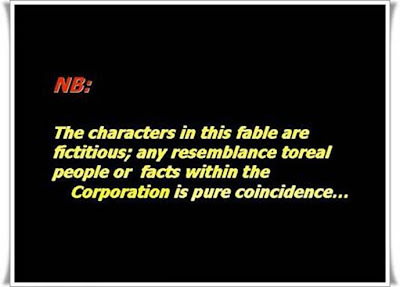 ♦ Manually writing down serial and lot numbers can be very time consuming and mistakes can easily be made, leading to numerous issues down the road. ♦ With the serial and lot control (add-on modules for Sage Accpac), ACCU-DART will automatically update the accounting system with the correct serial or lot information for future tracking and transactions. ♦ ACCU-DART can put-away items as they are being received into the appropriate bins (For Sage Accpac this functionality is available with the upcoming Orchid Systems’ Bin Tracking Functionality*). By receiving purchase orders with ACCU-DART, your client’s inventory will be instantly updated into the accounting system, allowing the sales and office staff to know their exact inventory levels for making sales, ordering stock, etc. 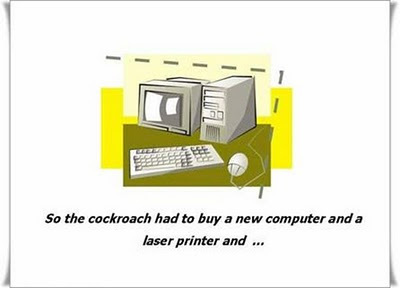 It will appear “in stock” as soon as it’s received with ACCU-DART. No more waiting for someone to manually enter the receipt before they can sell the products. MISys SAE 5.6 is now available for compatibility with Sage Accpac 5.6. With the launched of Sage Accpac ErP 5.6, Misys Manufacturing Systems a Sage endorsed Manufacturing add-on to Sage Accpac has quickly make its software compatible. Careware is proud to announce the release of MISys Manufacturing for Sage Accpac ERP (MISys SAE) version 5.6A! The primary focus of the MISys SAE v5.6 release is to ensure compatibility with Sage Accpac ERP v5.6 and all its components. • Support for System Manager v5.6A Multi-application activation. • Support for Inventory Control v5.6A with Serialized Inventory and Lot Tracking. • Support for Order Entry v5.6A. • Added pre-assignment of SL numbers for direct stock transfers. • Added pre-assignment of SL numbers for batch stock transfers. • Added pre-assignment of SL numbers for sales transfers from a Manufacturing Order. • Added new functionality to the Assign SL Numbers function to support retrieving both new SL Numbers and SL Assignments from the same barcode generated file. For more information about Sage Accpac Manufacturing Solutions, please visit: here. Sage Business Solutions – Spotlight on: Manufacturing-Auto Simply 5.6. With the launched of Sage Accpac ERP version 5.6 in Malaysia this month of March. AutoSimply a developer of the manufacturing systems for Sage Accpac has announce the official release of Service Pack 1 for Manufacturing Order (M/F) version 5.6A. This release primarily makes the M/F v5.6A compatible with Sage Accpac v5.6A and includes other major fixes. Sage Accpac Auto Simply series is an easy-to-use manufacturing solution for small to medium-sized enterprises. 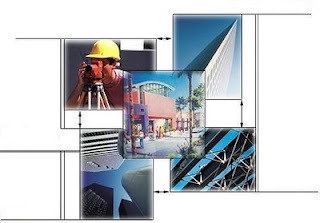 Its design is fully integrated with Sage ACCPAC Finance and Logistics modules. Simple yet powerful, manufacturing order enables an efficient manufacturing operation flow covering material purchase, processing manufacturing orders, work in progress, routing cost calculation, material consumption, material scrap and item substitution and order closeout. The design of Manufacturing Order is conceptualized to fully accommodate users’ business processes needs and expectations. AutoSimply’s Manufacturing Order is an easy-to-use manufacturing solution for small to medium-sized enterprises. 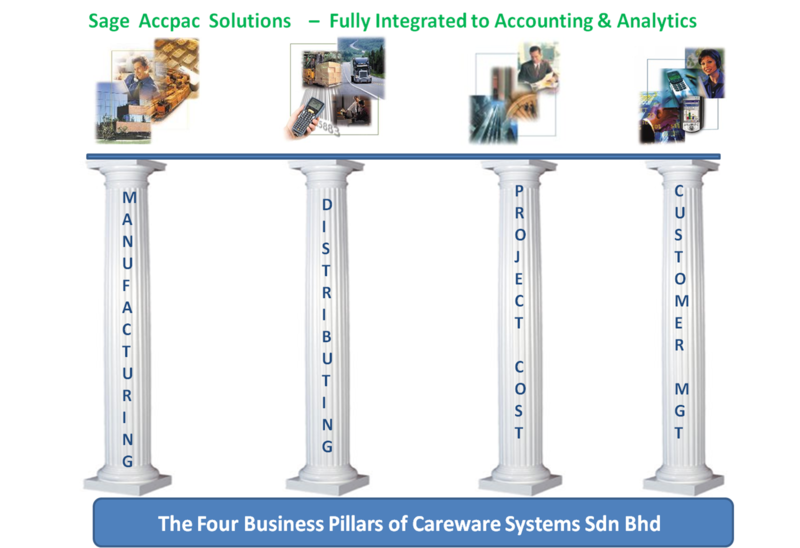 Using ACCPAC SDK, its design is fully integrated with Sage ACCPAC Finance and Logistics modules. Simple yet powerful, Manufacturing Order enables an efficient manufacturing operation flow covering material purchase, processing manufacturing orders, work in progress, routing cost calculation, material consumption, material scrap and item substitution and order closeout. The design of Sage Accpac’s Manufacturing Order is conceptualized to fully accommodate users’ business processes needs and expectations. AutoSimply's Production Planning module is an easy-to-use production scheduling and materials requirement planning solution for small to mediumsized enterprises. Developed using ACCPAC SDK, it is fully integrated with Sage ACCPAc's Financial and Logistics modules. The P/P module is the second installment of AutoSimply's manufacturing suite for ACCPAC. It makes full use of the manufacturing and BOM information in AutoSimply's Manufacturing Order (M/F), sales information as contained in ACCPAC O/E, stock data within ACCPAC I/C and purchase information in ACCPAC P/O. With AutoSimply's P/P module, ACCPAC can now truly generate a full blown basic MPS and MRP plan! Disclaimer: The views express in the article are the personal views of the blogger and do not represent the official views of Sage Inc or SageAsia. 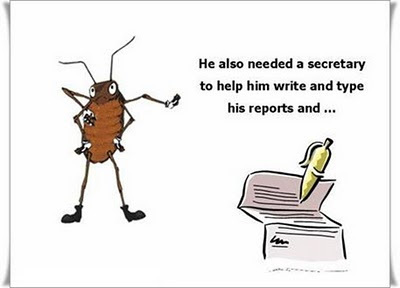 Business Intelligence and Reporting is a buzz phrase in today's marketplace-and for good reason. Gone are the days of trying to glean key information from a monthly balance sheet, profit and loss statement, and cash flow statement. Today's business leaders demand more insightful, more comprehensive metrics because their ability to serve their stakeholders and outflank their competitors depends on it. What should you look for in business intelligence and reporting solution? Full integration with your ERP, SCM, CRM, and the ability to pull data from anywhere in your enterprise, and total ease of use. You'll find these qualities, and more, in Sage Business Intelligence solutions. 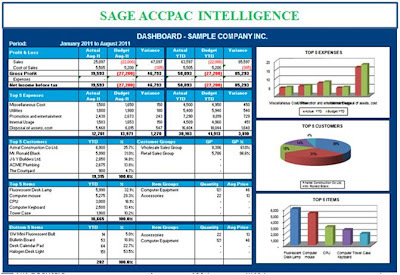 Sage Accpac Intelligence is a reporting and analysis solution offering Excel based Business Intelligence for Accpac ERP users. Careware specializes in Excel-based reporting for easy and affordable business intelligence for small to medium enterprises; Sage Accpac Intelligence integrates seamlessly with Sage Accpac ERP by connecting automatically to the data source. ERP systems produce significant amounts of data which can, if interrogated correctly, provide valuable insights to a company’s CEO, Sales Director or Marketing Director. Sage Accpac Business Intelligence makes this technology available for all business decision makers. Immediate ROI, the software delivers automated and pre-formatted management packs and other decision-support reports on demand in Microsoft Excel directly from your Sage Accpac ERP applications. Experience enhanced productivity, performance and presentation with automated monthly management packs. Sage Accpac Intelligence will minimize manual, repetitive work done in Excel and ensure your reports have only a single version of the truth. The Drill Down capabilities allows detailed transactions to be accessed with the click of a mouse. With Sage Accpac Intelligence your management information is at your fingertips. You can keep an eye on the health of your company at anytime and anywhere. Comprehensive product and skills training is available from Careware Training Centers. 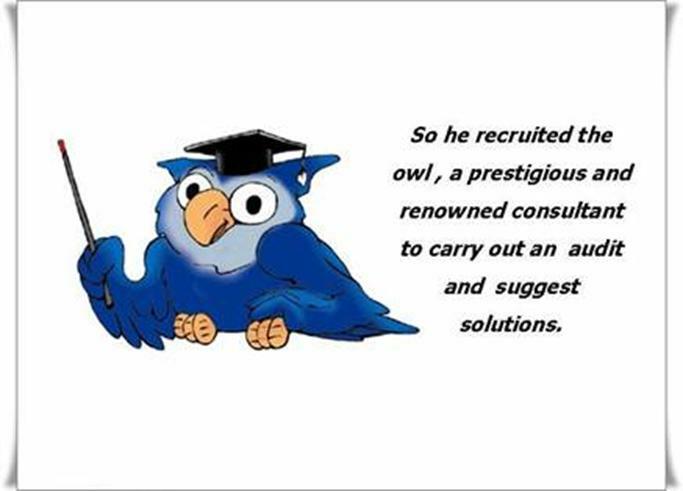 Careware has three (3) certified BI consultants to supports and train you. Our training will take you through 3 stages, Beginner, Intermediate and Advance level. 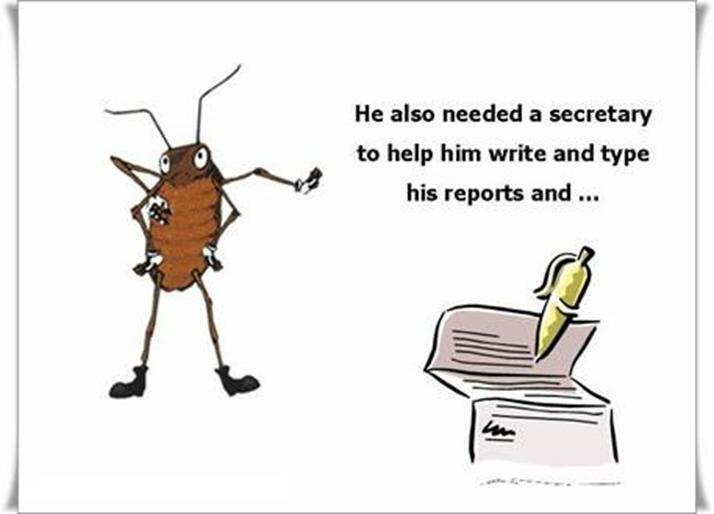 Aimed at business analysis our courses can either introduce or enhance the skills required to be able to produce meaningful analytical reports. For more information please about the Sage Accpac BI go to Careware. 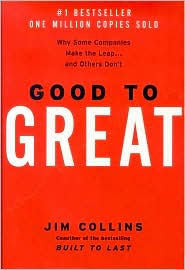 I am now reading Jim Collins book, “Good to Great.” A good read I suppose, but find the concept level 5 leadership hard to fathom initially. As I progress in reading it becomes clearer and clearer. The book contains lots of good principles and concepts. From Level % leadership -> Hedgehog -> Flywheel. It is a good read and having sold to date more than 3 million copies worldwide there must be some worth to reading it. Jim Collins teams research the fortune 500 listed companies for years. As there are published data and interviews to based on. It makes to feel that surely there must be some Great Small Companies out there. To me, reading a management/business books is somewhat similar to the act of going to church … you know the core principles but you need to listen and internalize the subtle nuances so that you truly stay on the right path. So far as I progress in reading the picture becomes clearer. Level 5 Leadership built a team of capable executives. 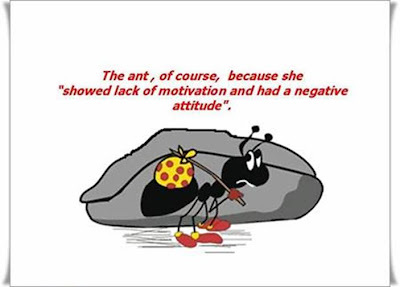 He is usually not egoistic, The “I” word is seldom used but the” we” word is often used. Usually has a succession plan in place. Consider himself as God gifts to the company. I able to do this, I, I, I is often his vocabulary. He usually set the route for the whole company without much consultation. When he leaves the whole company crumbles. 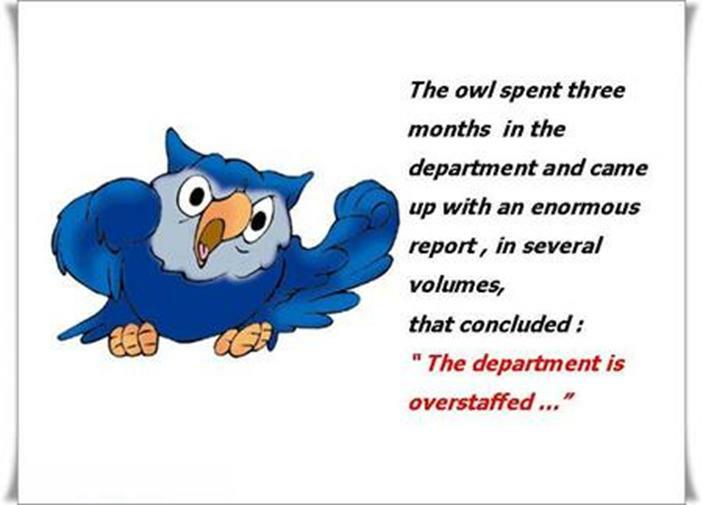 Come to a realization that Careware is actually following the “Hedgehog” principles all the while. We do not get sidetrack with all the noise in the ERP world, but focus on Sage Accpac and what we do best for our customers. No wonder in a small market in Malaysia, we are consistently number ONE for 10 years plus. No wonder we are among the Top Business Partners in Asia. The Tiger is said to be lucky vivid, lively and engaging. Another attribute of the Tiger is his incredible bravery, evidenced in his willingness to engage in battle or his undying courage. Maybe he’s so brave because he is so focus. So we will engagged our business with the “Eyes of the Tiger” The killer instinct for businesses. In the wild, seeing the "eyes" of the tiger signifies death, because right before a tiger attacks, it turns its ears forward so that the spot on the back of each ear faces nearer its prey. 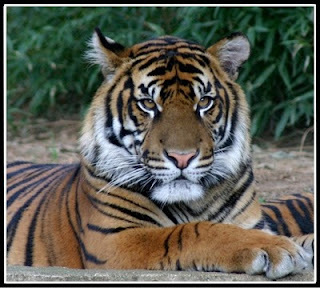 The "eye spots" on the back of tigers' ears serve to confuse predators and reduce the risk of attack from behind. 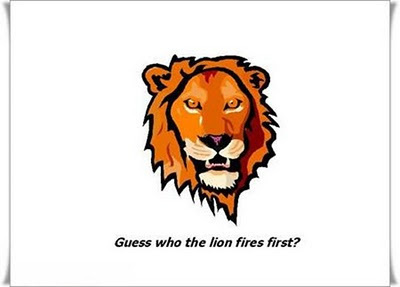 Hence, once someone sees these "eyes", the tiger is about to attack. With the Eye of the Tiger. Sage Business Solutions – Spotlight on: Manufacturing-Process. MISys/ACCPAC* has been successfully used for process manufacturers worldwide If a product is formula or recipe-based. MISys could dramatically improve operating effectiveness and efficiencies. We may not offer it right out of the box, but MISys is very adaptable to a wide range of industries, and for a small and mid-sized process manufacturing companies MISys may be a better fit financially as well as ease-of-use. • Infinite locations for QA steps. • Bar-coding and bin tracking. • Expire or spoil date tracking. • Integrated Sales order Processing. Whether you manufacture chemicals, pharmaceuticals, or food, this powerful solution equips the process manufacturing industries with features required to improve operations, streamline workflow, and build profits. Choose the solution that many businesses have used to overcome the same obstacles you're facing today - MISys & Accpac ERP. MISys integrates seamlessly the Sage Accpac Accounting module seamlessly with the same look and feel. Unlike other ERP-accounting integrations, the distribution and manufacturing in some cases are handled by other software, with accounting in a difference software. . This means that the end-users have to learn two systems with difference look and feel and have put up with loose interface via import and export. This list is by no means exhaustive but give an indication of our domain experiences. * Once complex formulae that involve temperatures, gasses and pressures, (as in Oil and Gas ) it is out of our league and MISys will not be a good fit. What are The Problems with Cloud-Based computing? Executives considering adopting an ERP application on the cloud are concerns about some of these things. 1. Functionality – As a general observation, cloud erp is not ready for prime time yet. It is a good option if your functional requirements are limited, you are likely not to change your business requirements AND you plan to use the system for only 2-3 years before evaluating ERP again. It is usually an entry level type of application that is on the cloud with vanilla flavor as is basis. The business model falls apart when you need to customize and/or interface other software products. So vanilla flavor Quickbook, Salesforce, Netsuite and a host of entry level systems is for you? 2. Speed - Dial up access to the internet is not enough. It takes cable, DSL, or business class high-speed internet access to make web-based erp work at acceptable levels of performance. If you have dial-up access, don't even bother. What about your Streamyx broad band in some area like Sri Kenbangan and Subang it is fast enough? And if you are using dial up, don’t even bother. 3. Reliability - Web-based computing relies 100% on the internet being up and running and available. I can assure you, the internet is not always up and running and available. Ask yourself, how many times has your internet access been down this year? If the internet is down - you are down, and most likely your business is down as well. Ouch! The weakest link is its ULTIMATE SINGLE POINT OF FAILURE and you can’t do anything about it. This is a valid concern and there really is no answer other than employing a local on premised solution. 4. 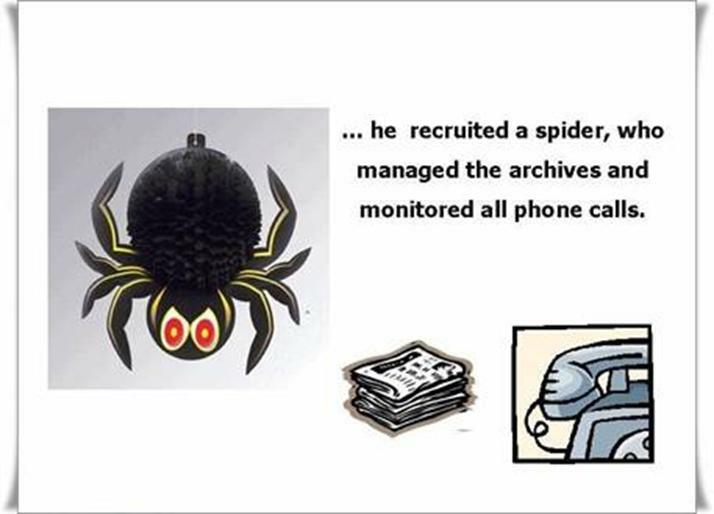 Viruses - because of rampant viruses and media attention, many people fear that they might be at a higher risk to contract a virus if they run their operation on a web-based system. There is little basis for this. Yes, viruses are a serious threat. You should be running virus protection software and a firewall device anyway. Theoretically, you are at the same risk level of contracting a virus whether your accounting system is on line or stored locally. The threat of viruses is not a very valid concern in my opinion. 5. 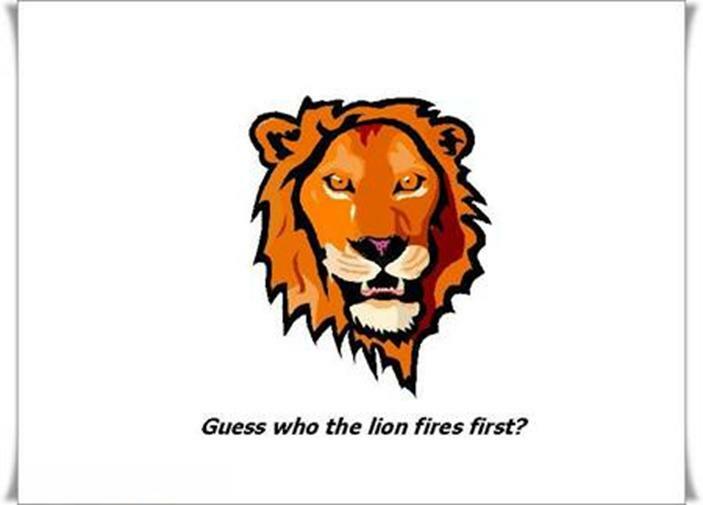 Security - Most companies are very concerned about sending their data over the internet. They fear that their data will either be viewed or compromised. The reality is that with 128 bit encryption, sending you data over the internet is as safe as it can be. If you currently keep your data on a file server at the office, the thieves could steal the computer, unauthorized employees might access the system at night, backup tapes could be left in non-secure environments, etc. While nothing in this world is 100% safe, it boils down to managing your systems. Security is not a very valid concern in my opinion. I have said it often; don’t be too hung-up on technology. Have a reality check. Don’t be clouded by the buzzword that is ringing around in the IT world. Ask the question how does this application help me to solve my inventory control problems, my operational issue? Careware is not against Cloud computing as our principals Sage also has its software available via SaaS for years already in US/Canada and someone is offering Sage Line50 in Ireland as well. This concept has being around for a long time. Do some checking and you will find that just as fast as new customer signed-up the equal amount of customers sign-off and revert to the traditional model of running their ERP. But the biggest real obstacles for Malaysia and some South East Asia end users are those stated in point 1, 2 and 3. KUALA LUMPUR: Telekom Malaysia Berhad's (TM) internet service on Sunday has been disrupted by a damaged underwater cable circuit at the Asian American Gateway (AAG) at Lantau, China. A TM statement said with the damage at AAG which links Malaysia to the United States, customers surfing websites hosted in Hong Kong and the US would experience slow connection. Those using internet protocol (IP) like virtual private network (VPN) and critical business applications linked to Hong Kong and US might encounter service disruption. The statement said to overcome the problem, several internet lines were directed to alternative connections to reduce traffic congestion. With the repair work, traffic to North America and Hong Kong would experience disruption while traffic to other countries would remain the same. Manufacturing company has unique business processes that revolve around generally accepted manufacturing principles. SME in particular face new challenges in today globalization of market. Evolving a manufacturing company to a new level of growth is more challenging than ever. To achieve growth goal in the world that is increasingly complex and globally competitive, manufacturer need to implement and share common manufacturing processes and systems. Manufacture globally at a lower cost and rely on a flexible system that enable advanced approaches like demand driven, lead and outsource manufacturing. Sage Manufacturing Solution solves these challenges. And it does so with a comprehensive solution that is both easier to use and less expensive than the alternative. Accpac is probably the most well known in the world of Financial Accounting. And for good reason most ERP software out there in the market started out with the Accounting modules and add on other functionalities or modules in due time. After all the foundation of the entire business application is the accounting as all will finally integrate to it. On top of my head right away I can think of at least three (3) well known brands of ERP that started off that way. The creator of the world’s most popular accounting software is now increasing its offerings for business solutions for small and mid size companies in Asia. Sage works through a network of world-wide Partners and Developers who are the leaders in their area and often specialize in particular vertical industries. This means that Sage customers get the best of global software coupled with local support. These best of breed manufacturing system like Misys is the endorsed solution of choice for the Sage Accpac series. It is not a bolt on solutions but an integral solution with the same look and feel of Accpac. MISys has more than 25 years experiences in developing the Manufacturing modules for Accpac and it is a stable and proven solution with over 7,800 installations worldwide. Careware being the Top Premier Partner for Sage in the region is well suited to provide manufacturing solutions for the SME in Malaysia. Careware’s manufacturing domain experiences is unparallel in Malaysia as it managements comes from difference disciplines such as mechanical engineering in manufacturing and project, accounting and programming background. These synergy and years of cumulative domain experiences enable Careware to provide a total solutions for the manufacturing segments that they serve.Sage Manufacturing Solutions is one of Careware’s four core business pillars. Careware’s has a experience to serve all kinds of manufacturing environments including discrete, process, chemical, pharmaceutical and fashion. In this "Spotlight on Manufacturing" we would like to introduce you to the various Sage Manufacturing Solutions available. MISys SAE - Sage Accpac Enterprise. An integrated business solution for growing small to medium sized manufactures that need the capability of the full ERP systems. It combines the ease of use and set up for quick deployment. Covering discrete, made-to-order, made-to-stock and job shops, Misys Manufacturing is designed to leverage integration across Accpac’s business solutions for the medium business range. Misys SBM – Small Business ManufacturingMISys SBM is for small manufacturer that need a easy to ease system that is adaptable and who need a high degree of accounting functionality along with manufacturing inventory management, BOM, production scheduling and it is economical to owned. It will integrate with Sage Accpac and Sage Peachtree Quantum. Depends on your budgets and requirement Careware can provide a solution for the small medium manufactures in Malaysia.